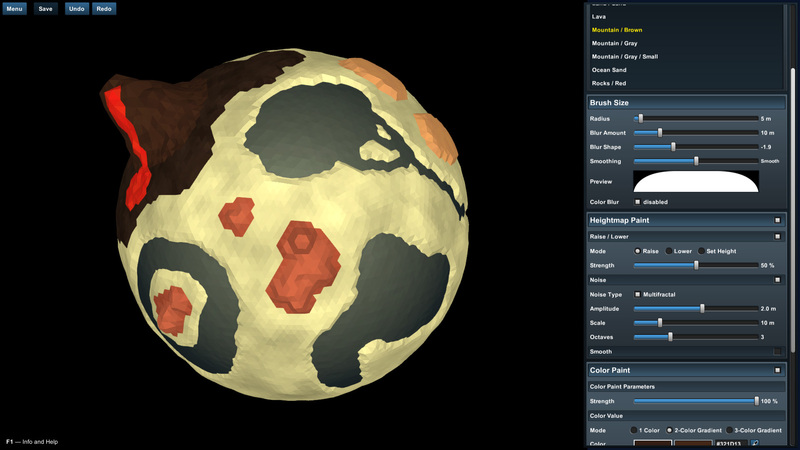 Planet Painter is a tool that allows you to create and edit nice little spherical planets. Really love what you've got so far. 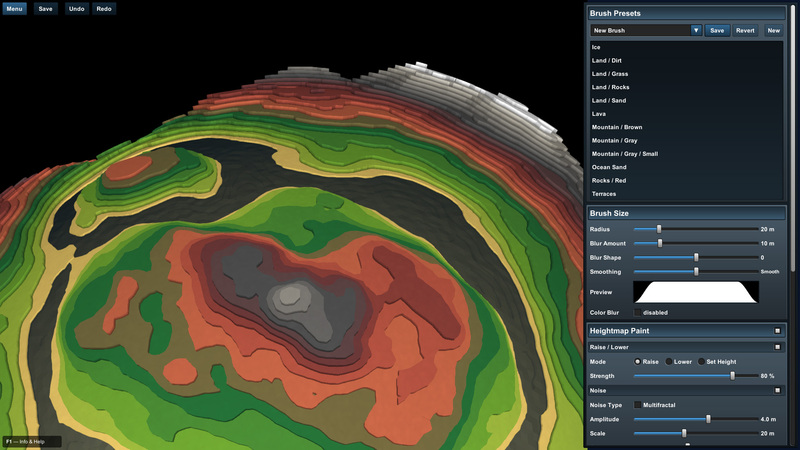 There's still a ton of features which could be added but it's incredibly easy to use. 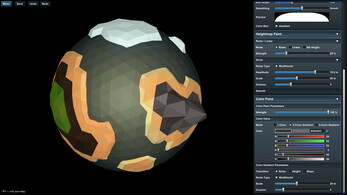 I'll be very happy when the exporter is ready. 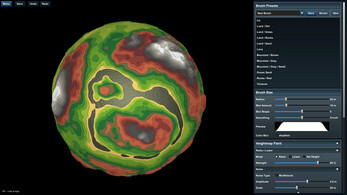 Awesome, this save me many time super simple to create you own planet, i have just one question, when you make low poly planets the brush effect are slow? thanks to share with us! Thank you for making this. I was skeptical at first, but after testing it out, I nearly cried tears of joy. Your program allows me to overcome my greatest obstacle, the creation of a spherical 3D planet, that can be edited on Cinema4D. Wow this is great! I have been trying to find a low poly terrain art tool and I think I have found it! As an artist and a fan of space this is just the best of both worlds for me. Thank you! 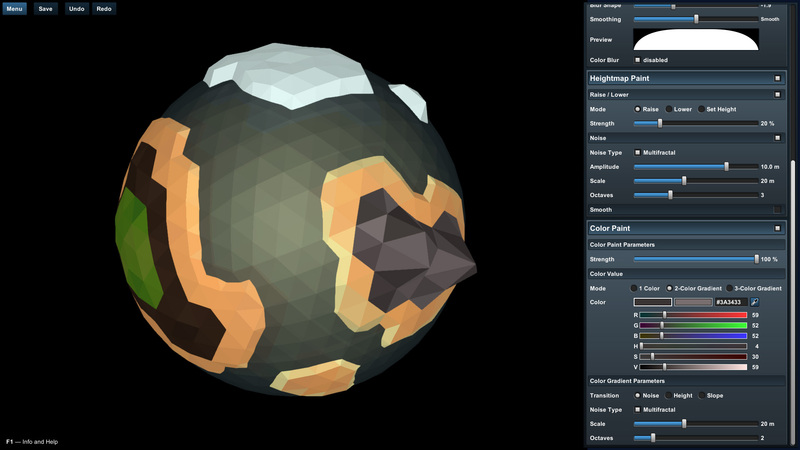 Reminds me of Astroneer! 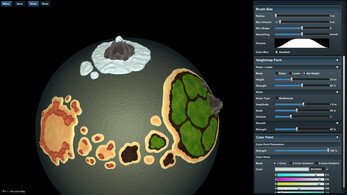 ;) Also did you use Planet Painter in your hot air balloon game you're currently developing? Thanks, glad to hear you like it! :) In that particular video with the air balloons the planet was randomly generated, but hand-made planets from Planet Painter could also be used. when does you add the function to export the planets? Hi! Sorry, can't promise anything more specific than Blizzard-style "when it's ready". :) Not too much free time at the moment. Soon, I hope! Very, very interesting! :D Fun to mess around with. You say you're planning to add exporting to other formats. 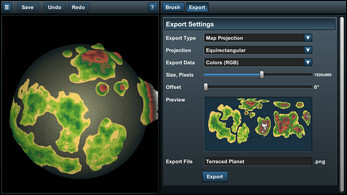 Will this include 3D formats that could be imported to 3D applications such as Blender? Thanks! 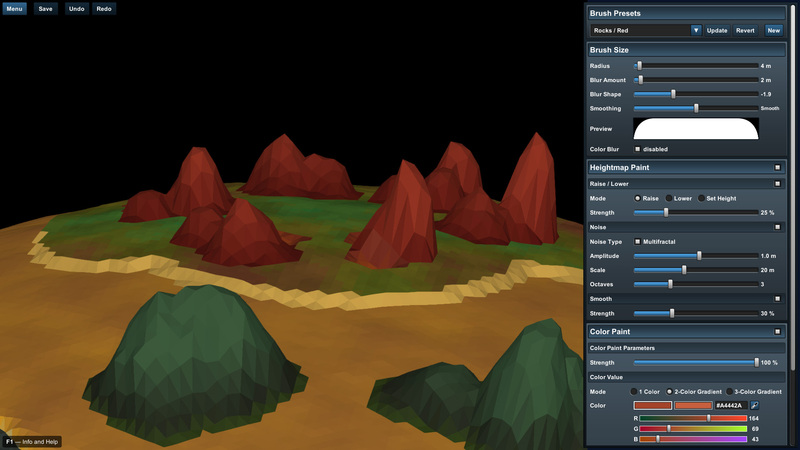 :) Yes, I have plans to add exporting to some of the popular 3D formats (such as OBJ or FBX, haven't decided yet). That's great to hear! Why not both formats? Haha.